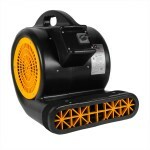 This Clarke 3 speed carpet dryer is a great bang-for-your-buck air mover! 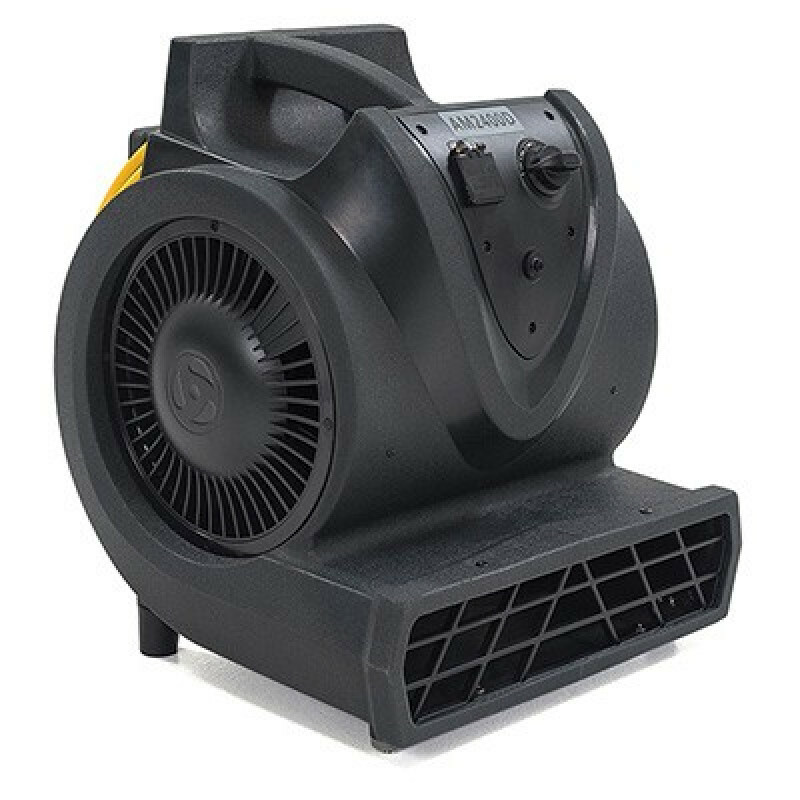 It offers powerful air movement (up to 2400 CFM), at an affordable price. Each unit only pulls 4.0 amps on its highest setting, so multiple units can be run off of a single electrical circuit. Each unit comes with an onboard outlet to easily daisy-chain multiple units together. Carpet dryers are a must for the carpet cleaning industry. If your carpets are not cleaned regularly, they can store hundreds of particles that can agitate personal health problems. This can be a major health risk for your home, or your business. After cleaning your carpets, if they are not adequately dried in a timely fashion, mold and other bacteria can start to form. So, for all you carpet cleaning professionals and beginners out there, air moving carpet dryers are a must! For other options, please take a look at our complete line of air moving carpet dryers. Powerful carpet dryer offers powerful air movement from 2000 to 2400 CFM. Unique design allows carpet dryers to be stacked on top of each other for space saving during storage. Optional wheels and telescopic handle can be purchased for easy transportation. Thoroughly dries carpet to reduce exposure to mold and other health causing bacteria. Exceptionally quiet, output of only 72 dB on its highest setting. Roto-mold housing protects internal components from damage. Cage protects motor from debris. A must for carpet cleaning professionals! This is a review for the Clarke® 3-Speed Carpet Dryer.